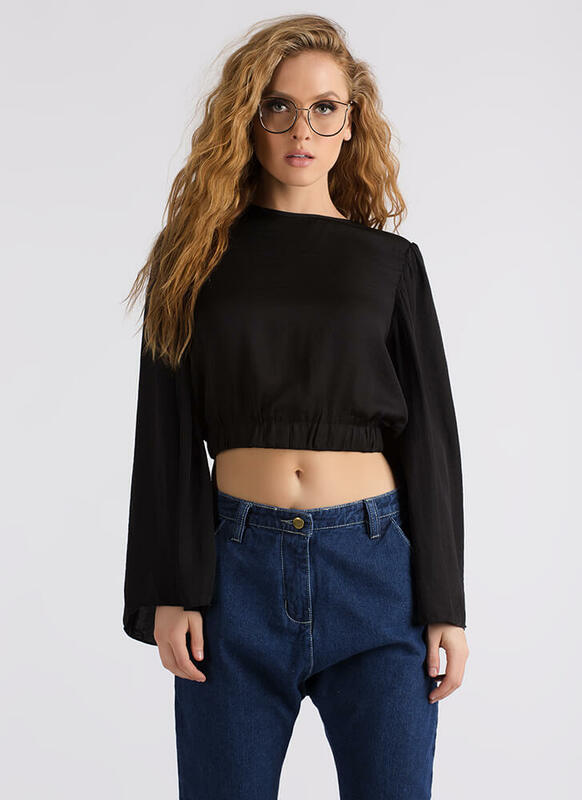 Looking for your Romeo or Juliet? 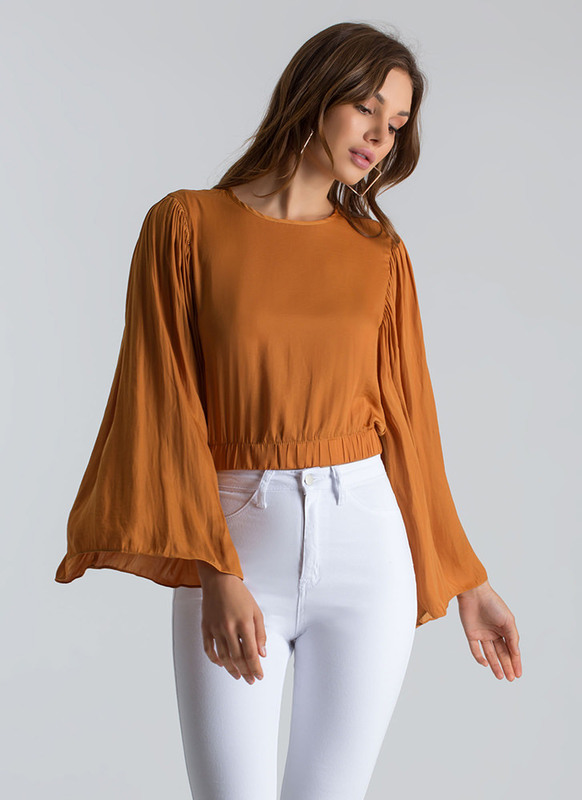 This top should help you wave him or her down. 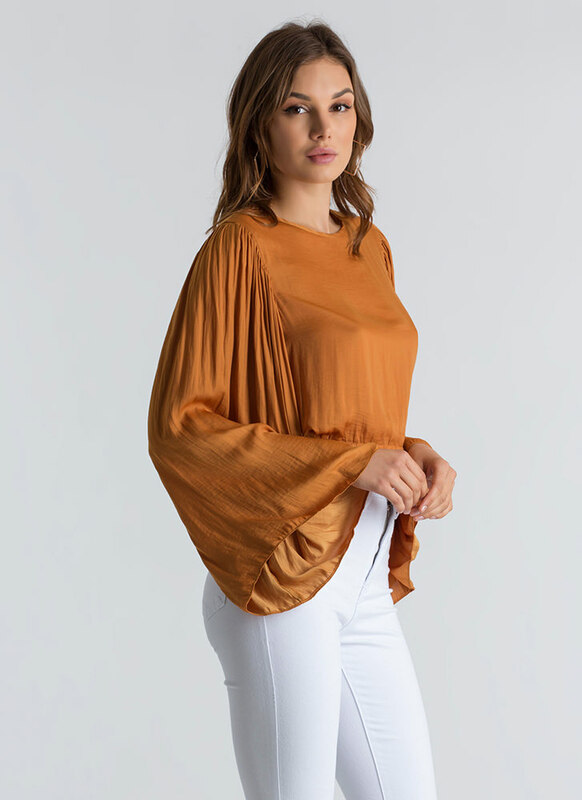 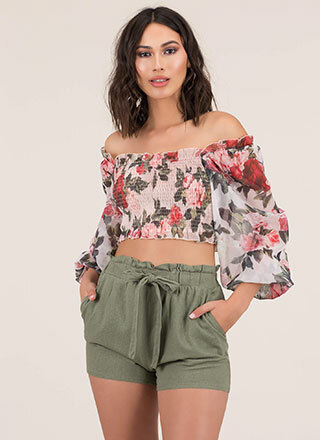 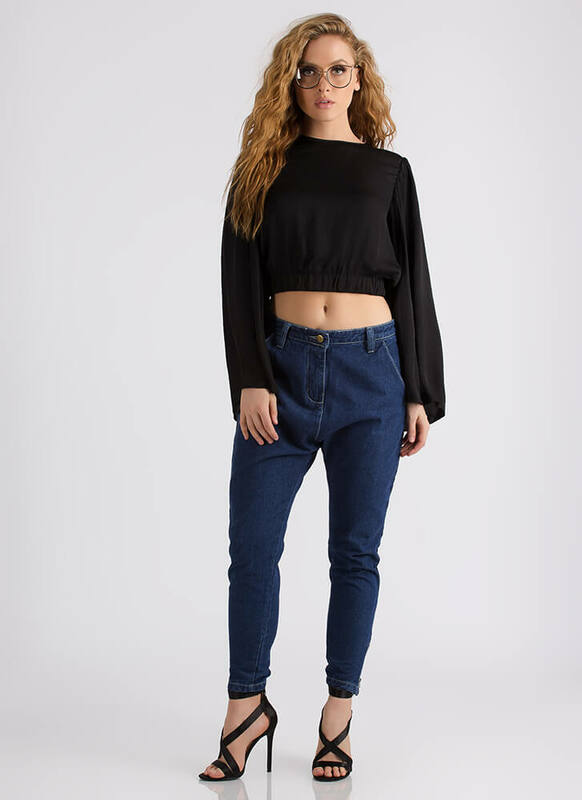 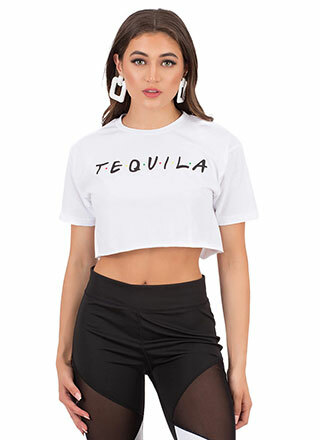 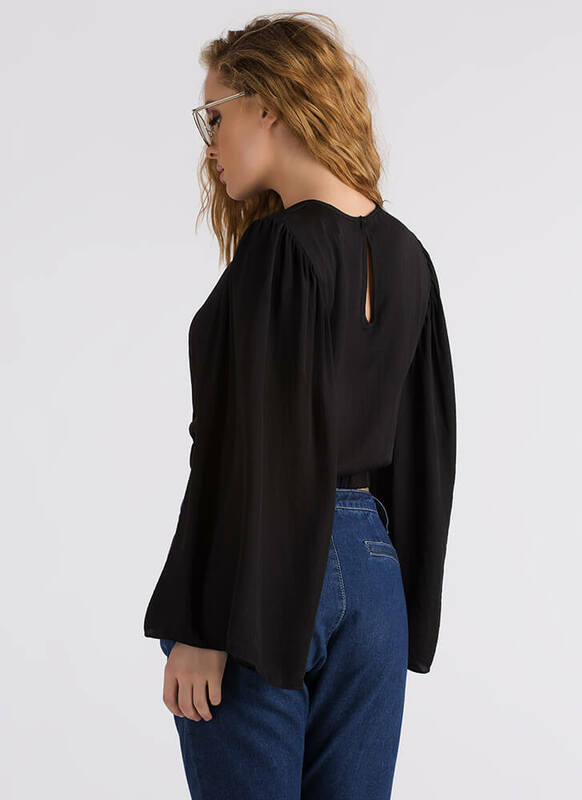 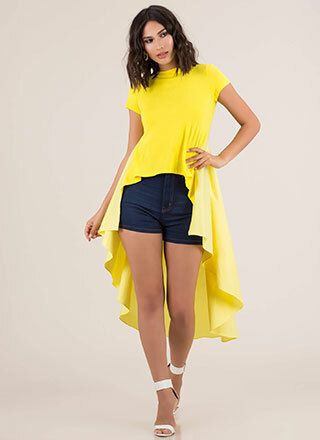 Lightweight, non-stretchy crop top features an elasticized bottom hem, a buttoned rear keyhole, and long, super dramatic, pleated bell sleeves.